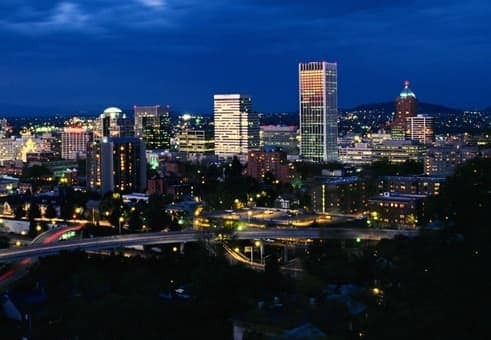 If you really want to get to know Portland, be sure to get out into the neighborhoods. Here’s a rundown on the best of Portland‘s neighborhoods, and what we recommend in each one. Even though it’s essentially attached to the downtown core, The Pearl District has a distinct urban/residential feel that warrants a separate mention. When you think about the fact that this neighborhood used to be all about warehouses and industry, it’s hard to believe what you see today. Inviting green spaces, trendy restaurants, and galleries fill the streets. A walk through this area – and a good long sit in Jamison Square – is a must-do. When most people mention Northwest Portland, they’re referring to the neighborhood anchored by Northwest 21st and 23rd avenues. Despite the congestion (when compared to other neighborhoods), we can’t let a visit to Portland slip past without a visit here. When visiting our old hometown recently, we met a friend for coffee on 21st and remarked that this area seems to remain an LGBT mainstay. That’s one of the reasons we like it best. This is the area where we used to live, so we have a huge soft spot for it. The tree-lined streets of the Irvington, Alameda, and Laurelhurst neighborhoods are particularly great places for seeing Portland’s old houses. If open space is your thing, you’ll certainly enjoy a stroll through Laurelhurst Park, with it’s curving paths and tranquil pond. Visitors wanting to get a feel for the Portland lovingly parodied in “Portlandia” should head up to Alberta Street and Mississippi Avenues. Both are lined with almost-too-cool-for-you restaurants and shops. If your visit coincides with the end of the month, be sure to participate in “Last Thursday” on Alberta Street. Each month, on this evening, galleries hold openings and restaurants showcase new artwork for sale. In the summertime, the streets are particularly active with various performers and Portland’s famous food carts. Another destination in this area: Kennedy School. The locally popular McMenamin brothers renovated this entire (formerly abandoned) school into a must-see food, drink and entertainment destination. When we visit, we like to spend our time in the bar named “Detention,” where “punishment” is almost always fun. If you find you need to spend the night, there are about 60 guestrooms. Viewfinder Tip: Save time for a visit to Forest Park, one of the largest urban parks in the world. During our days as Portland residents, we also spent a lot of time in the Belmont and Hawthorne neighborhoods. We like that these neighborhoods have not made the full transition from hippie to hipster. While our favorite pizza place no longer anchors Belmont Street, we can still spend hours in Powell’s on Hawthorne and make a trek up to Mount Tabor Park for a great view of the city. Another McMenamins outlet, Baghdad Theater, was a dinner-and-a-movie ritual of ours, and still draws us back for pitcher of Ruby and a show. These days, when we visit Portland we spend most of our time exploring the up-and-coming Division/Clinton neighborhood. A cadre of restaurants and bars are now transforming this area, but one old favorite that has stuck around is the original Stumptown Coffee on 45th and Division, a great place to stop for a killer cup of joe. Whichever Portland neighborhoods you decide to explore, you are sure to find something unique, delicious, and hopefully a little weird. After all, that combination is what makes Portland, Portland. When you visit a new city, what do you seek from the neighborhoods?